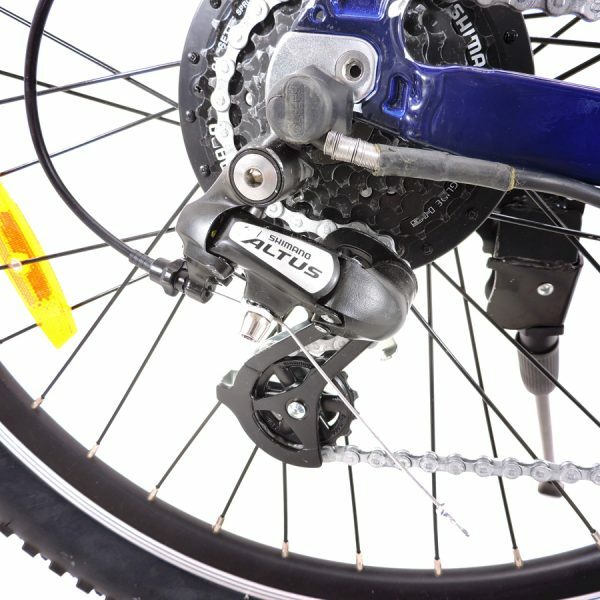 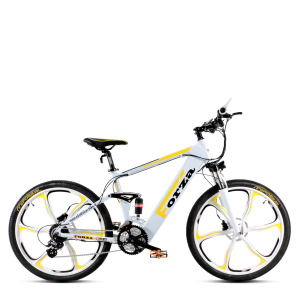 27.5 “electric mountain-bike, mechanical brakes, double shock absorber, aluminum rims, 5 levels of assistance. 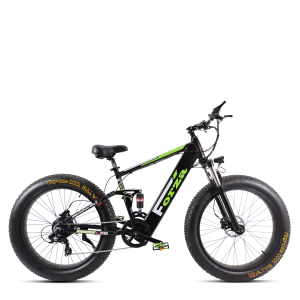 His robust frame, the FAT tires by 27.5x2.25’’ CHAOYANG and the double mechanical suspension, Fractum 2.1 is the ideal mountain-bike for those who love hiking in the mountains but also for those who live in modern urban jungles. 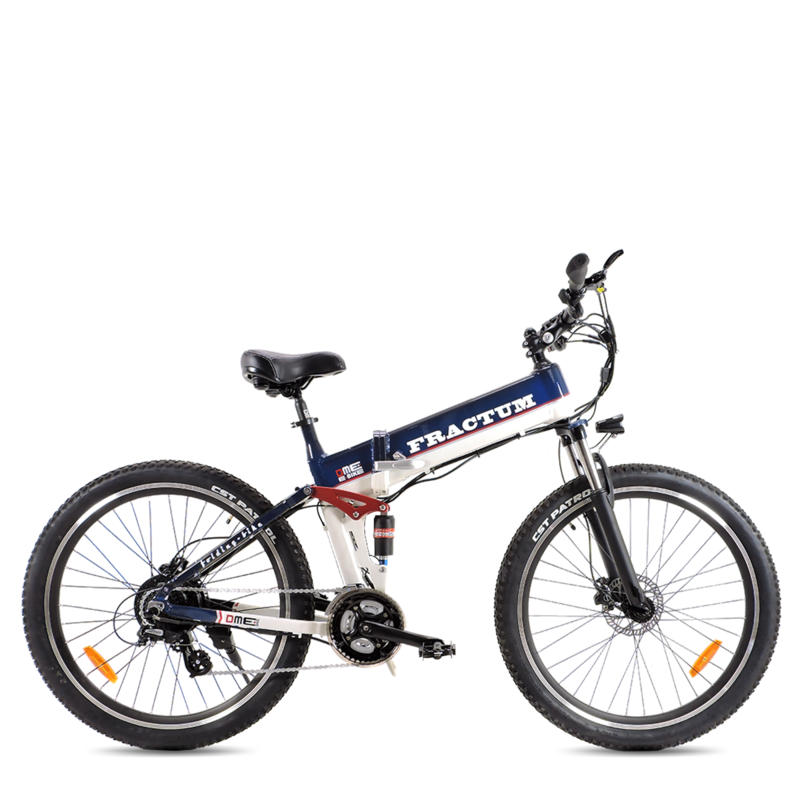 Brakes mechanical discsTEKTRO with aluminum levers and 500 watt motor powered bySamsung battery by 48 volt. 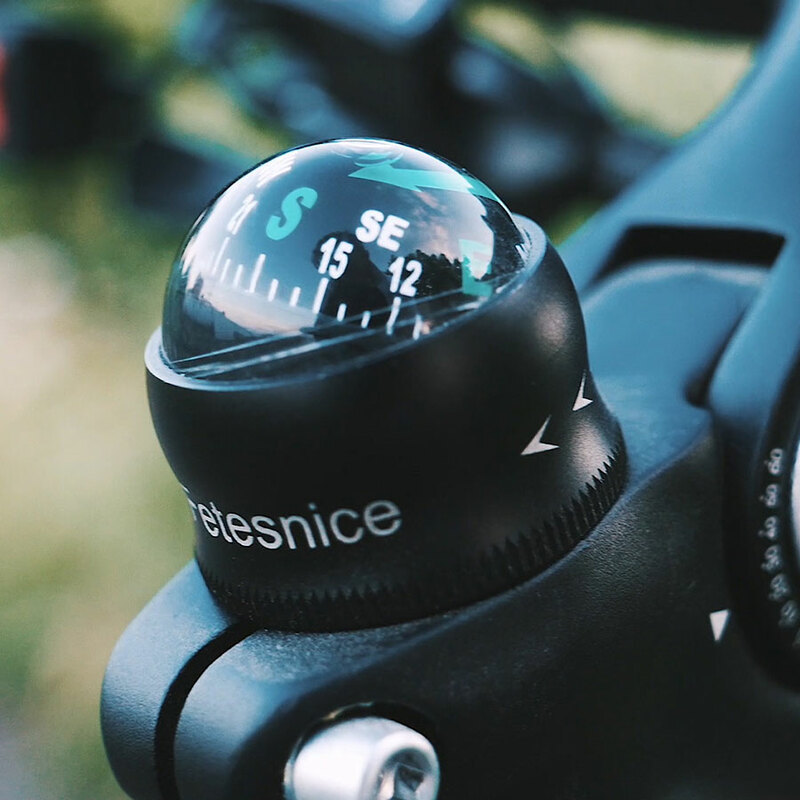 Total power and control, thanks to the five speed levels that can be controlled from the handlebar display. 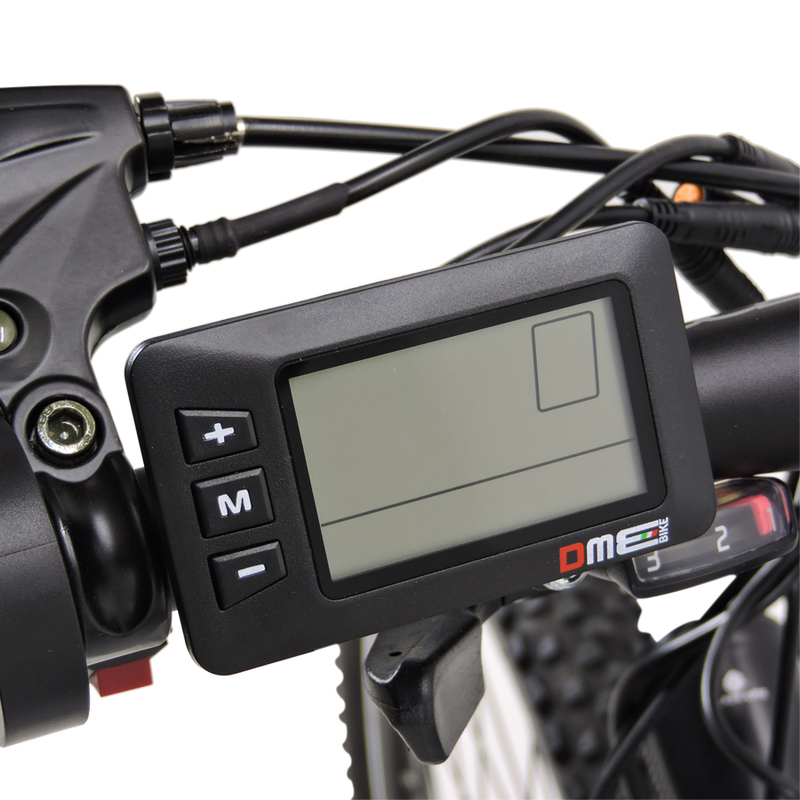 Thecurrent motor continue brushless, thelithium ion battery and the multifunction LCD controller ryour travels will be easier and more sustainable. 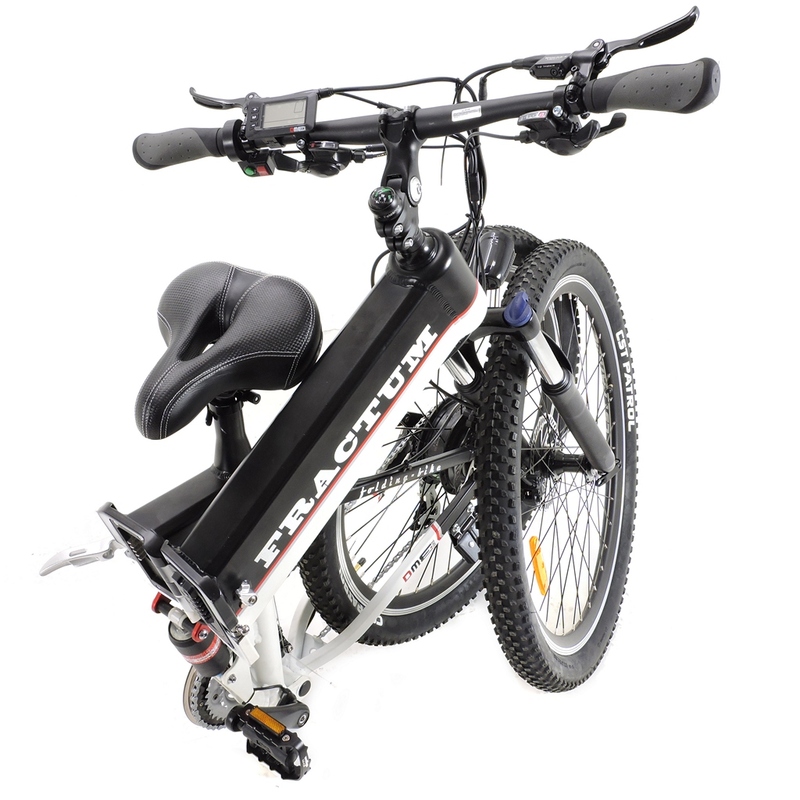 The technology of the electric bike, the sportiness of mountain biking. 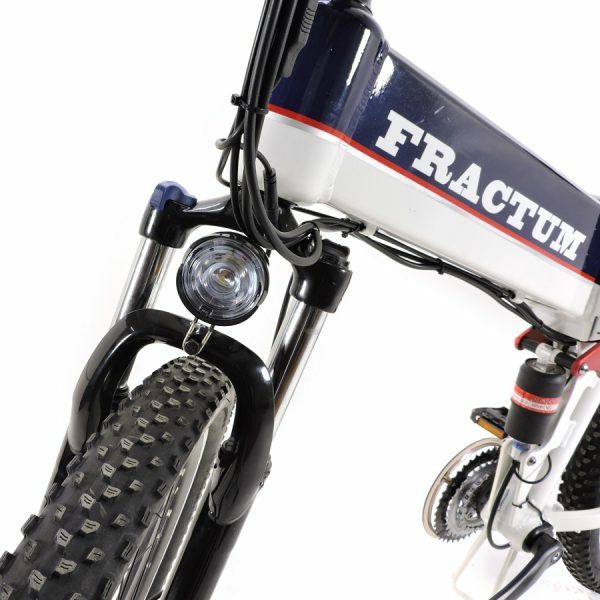 Fractum is the MTB you’ve been waiting for, to tackle bumpy weekend and city breaks every day. Thanks to the powerful electric motor and the reinforced frame, there will be no more unsurpassable obstacles. 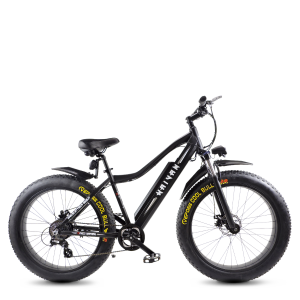 The MTB is the ideal bike for those who want to have a vehicle that can move with the same agility both in the city and in the dirt roads; both uphill and downhill. 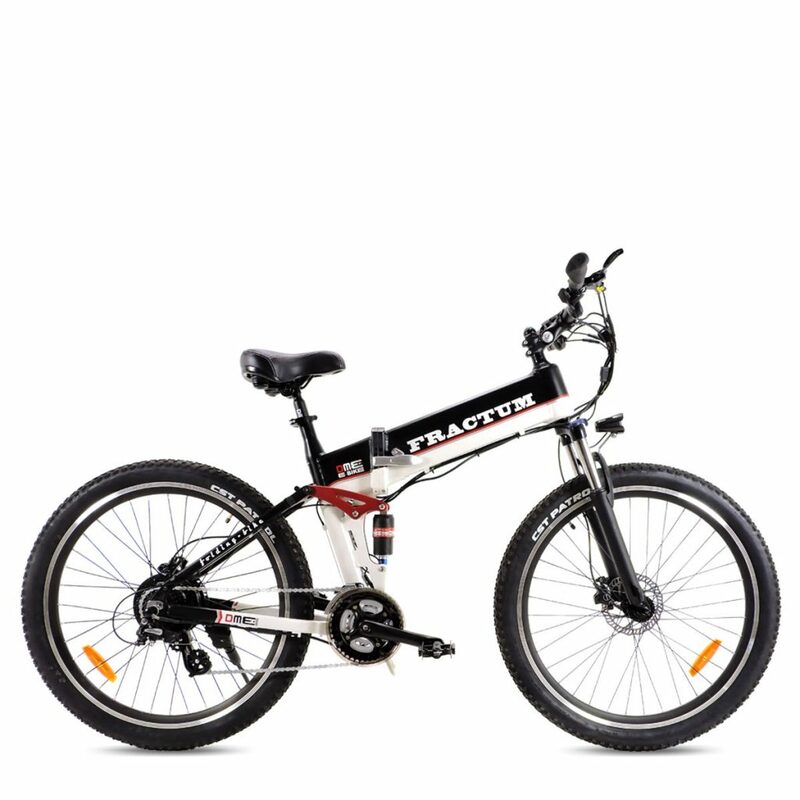 The wide wheels, the 24-speed gearbox and the suspension make the mountain bikes of the bike unsurpassed versatility. 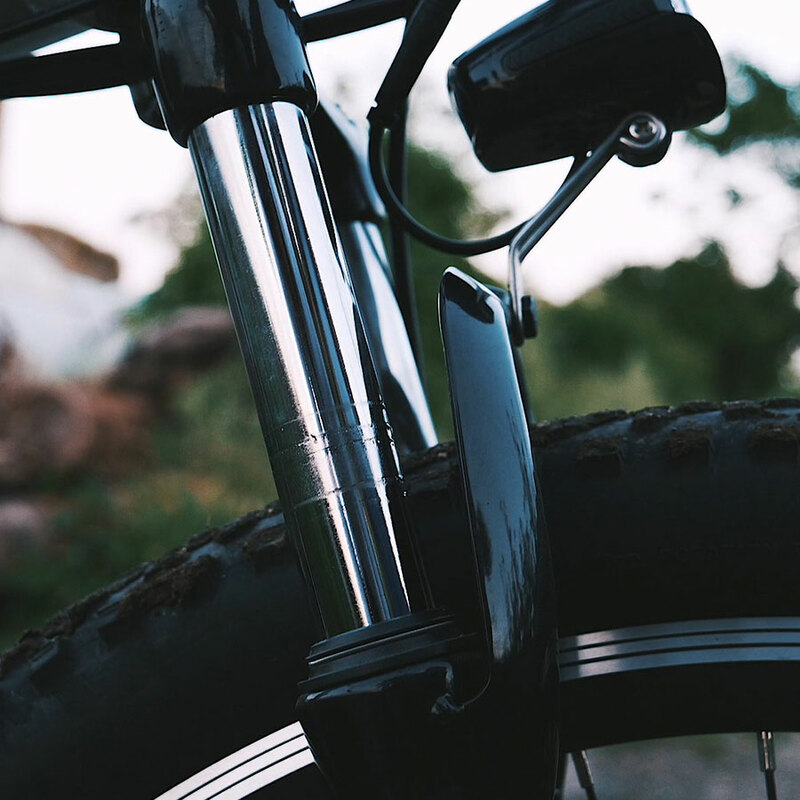 The Fractum mounts an aluminum fork with mechanical suspension, suitable for paved roads and not, resistant to potholes and deformations that occur on the path. 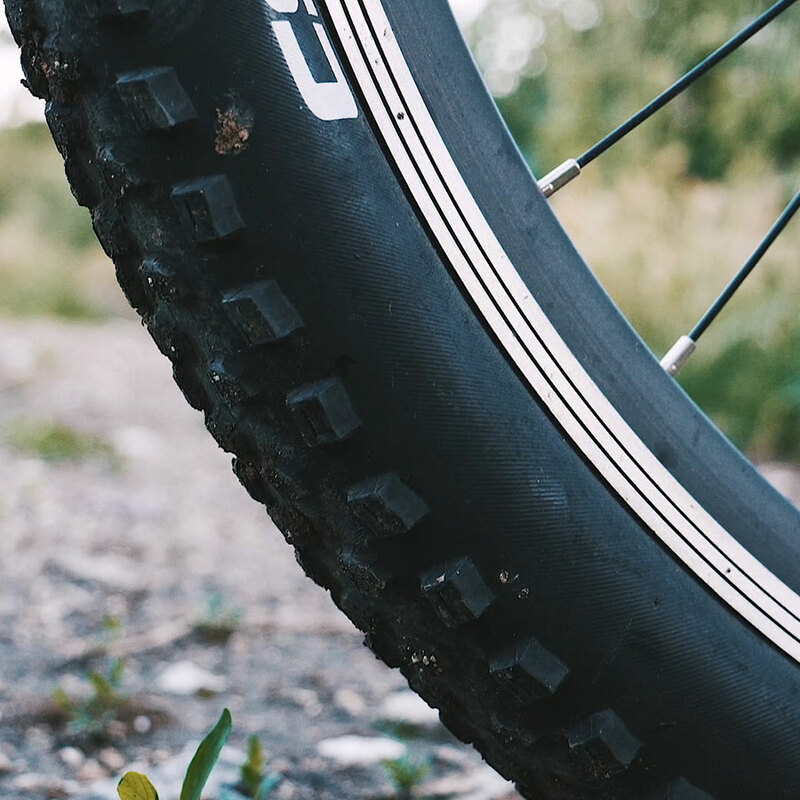 The wheel of this mountain bike is composed of an aluminum rim covered by a 27.5-inch x 2.25 cm wide CHAOYANG tire suitable for unpaved mountain roads. 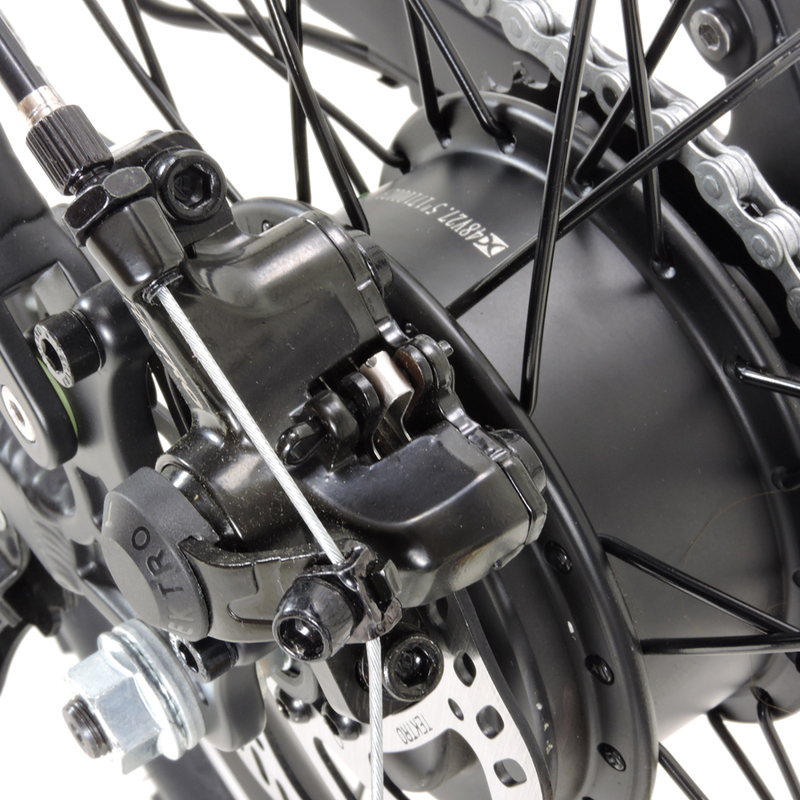 Also includes the front hub with brake disc and rear hub with engine and brake disc. 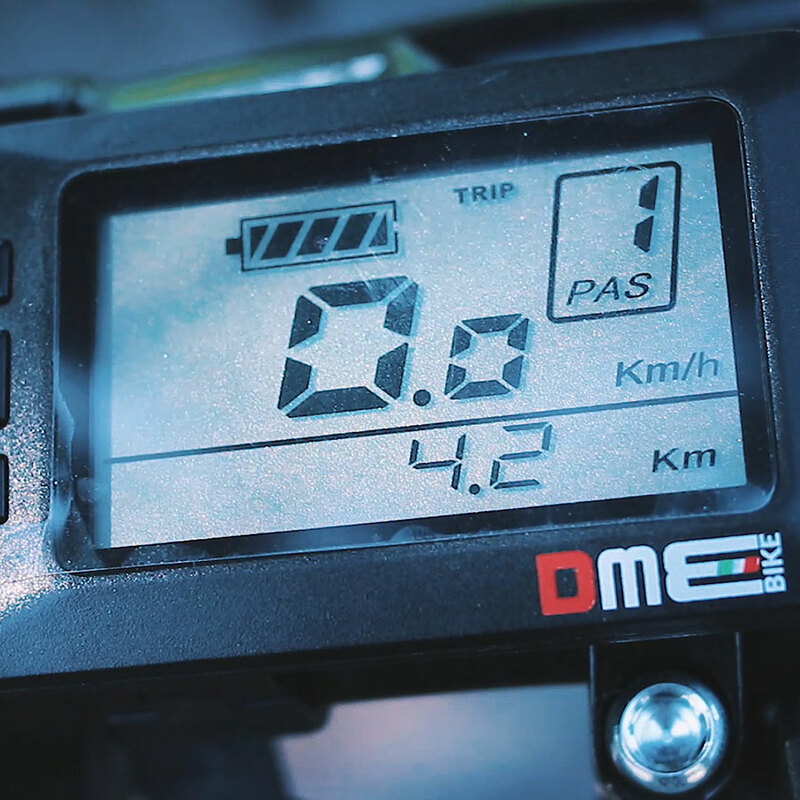 with 5 speed levels and cruise controls with a maximum of 6Km / h.
It also has the battery status indicator, the backlight, the odometer and the pas levels. 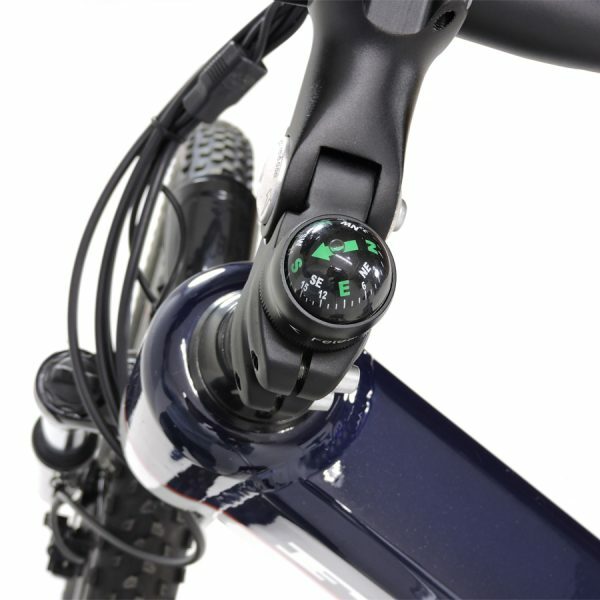 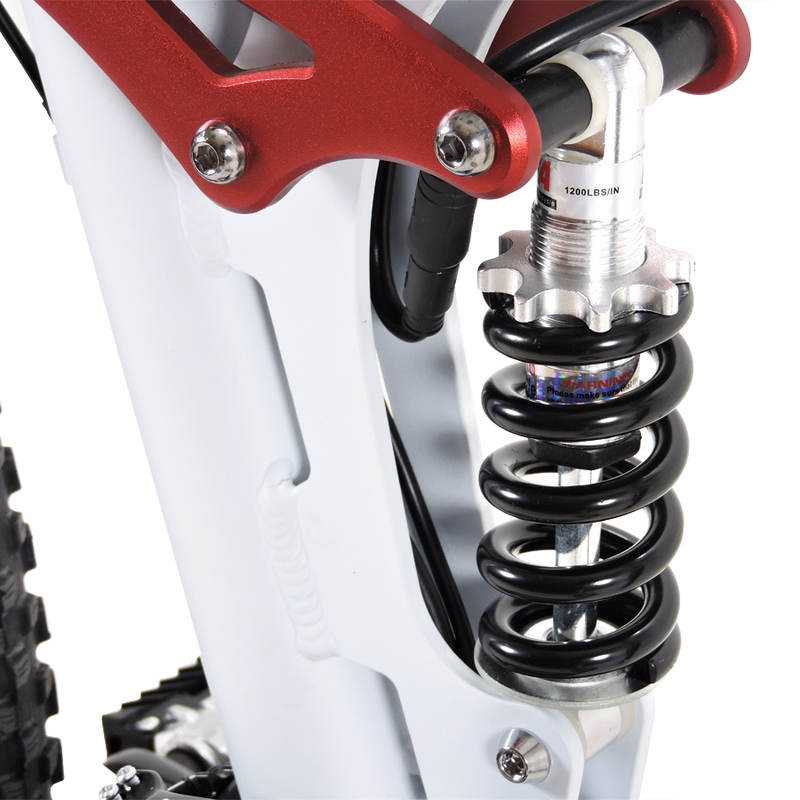 The Fractum belonging to the mountain bike category could not miss the compass, the useful orientation accessory for those who ride in the mountain roads. 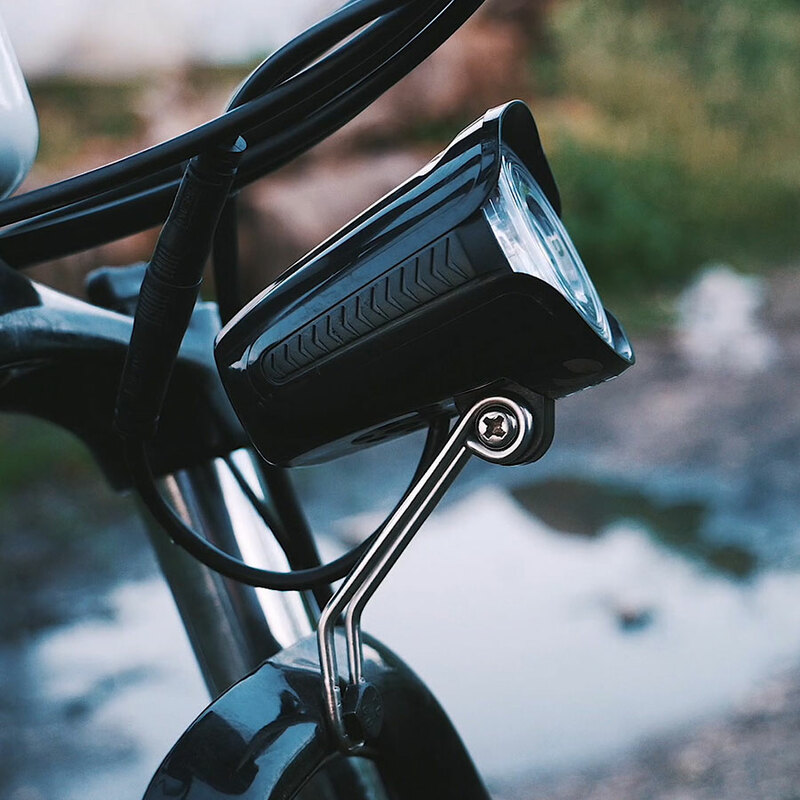 The front headlight of this bike can be activated by a handlebar. Very useful for poorly lit streets especially for those found in mountainous areas. 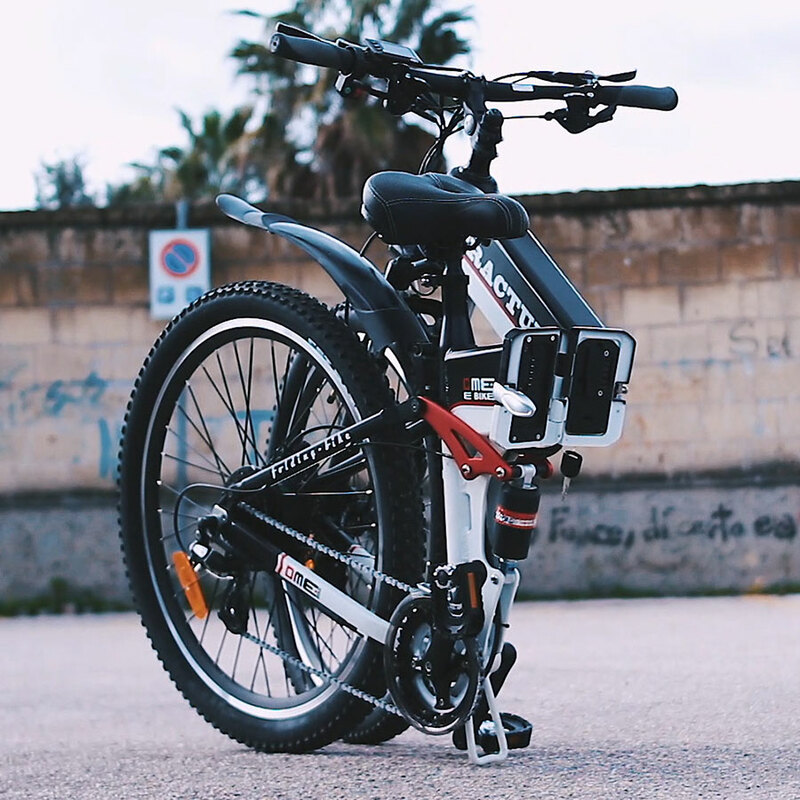 The Fractum as well as being a monuntain-bike is also a folding-bike, in fact, thanks to its folding frame, it is possible to move it from one place to another in a comfortable and extremely simple way.